When traveling, at home, or work, two of the best pieces of exercise equipment that you can use to strengthen your muscles are resistance tubes and resistance bands (mini bands) but before you get started, make sure you have a bottle of Purewil 100% Natural Artesian Spring Water to sip on throughout your workout. 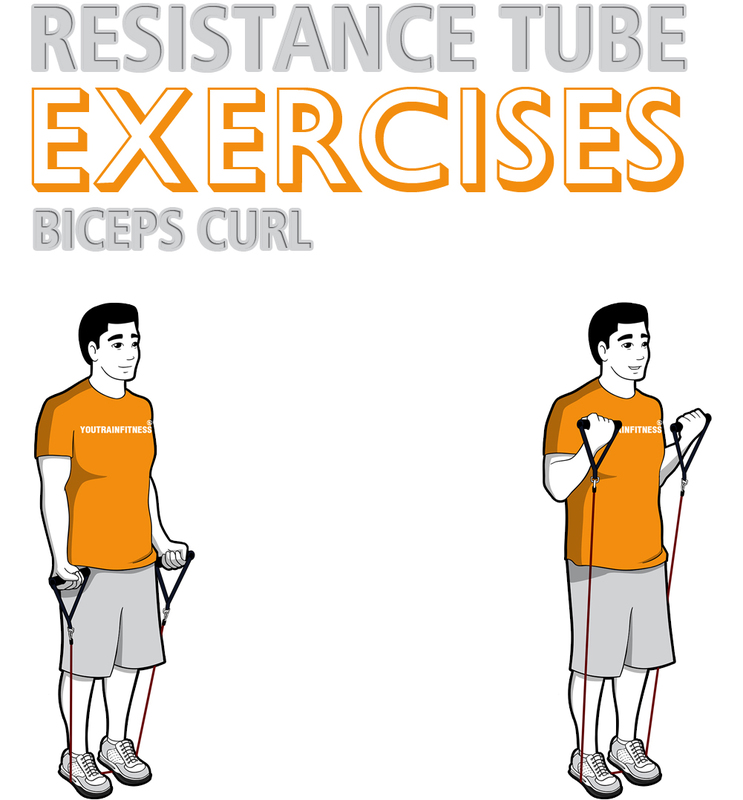 Real simple, for distinction purposes, a resistance tube has handles and a resistance band (mini band) does not. 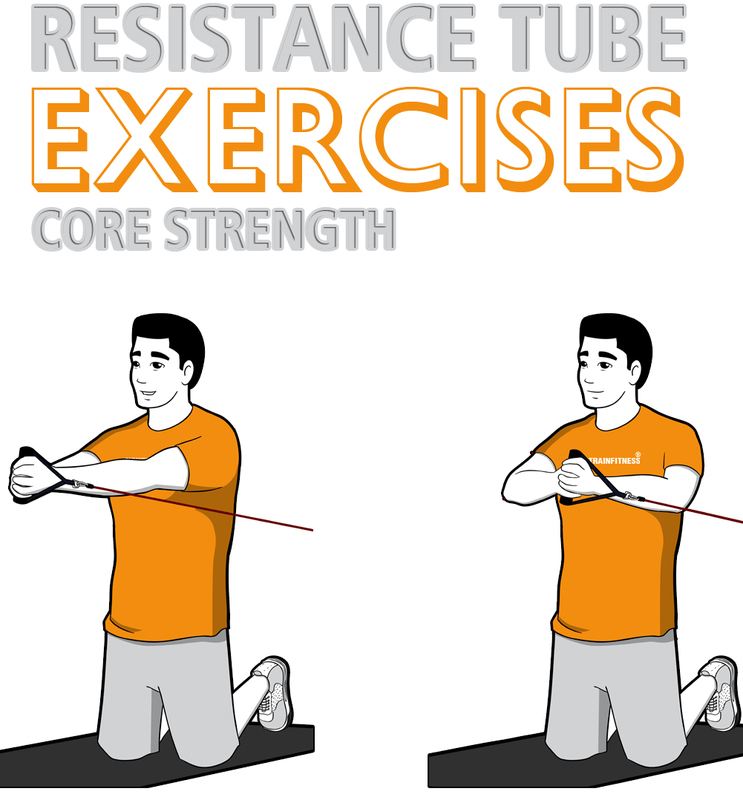 When most people use the term resistance band then often mean resistance tube. For the purpose of reaching a wider reading audience for search engine optimization, the term resistance band will be use periodically to mean resistance tube. When referring to an actual resistance band (e.g. mini band) the term mini band or mini loop band will be used. 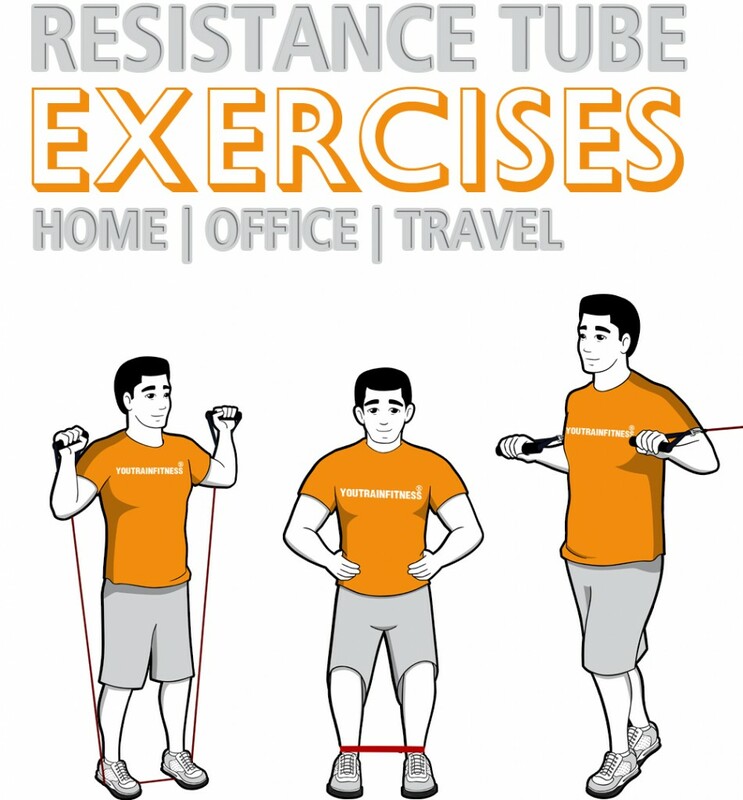 Resistance tubes and bands are durable, cost effective and portable; this allows you to use them at home or at the gym . When traveling, you can place the resistance tube or resistance band (mini band) in your carry bag for performing exercises in your hotel room. You can use the mini band to perform, mini band walks, mini band arm workouts, mini band squats, mini band lateral crawls, mini band leg exercises, mini band exercises for upper body. mini band exercises for glutes, mini band exercises for arms, mini band exercises for hips as well as mini band exercises for warm up. For individuals who like to improve their sports performance, you can also perform mini band exercises for basketball, mini band exercises for football, mini band exercises for volleyball, mini band exercises for soccer, mini band exercises for tennis, and many other sports. Additionally a resistance tube or resistance band (mini loop band) can be used by fit and unfit individuals to include men and women for performing a total body exercise. The challenge sometimes with using a resistance tube or resistance band (mini loop band) is knowing how to use them properly for a full body workout. Below, we show you the proper way with instructions. 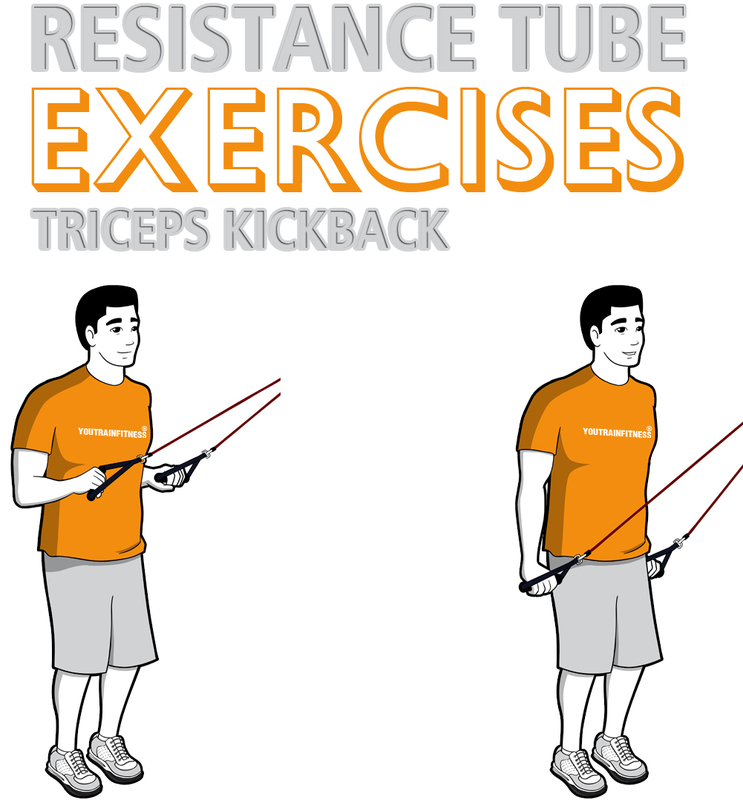 We also recommend getting the resistance tube and resistance band (mini loop band) sets that we offer. The quality is superior and if you are not satisfied, you may return then with no questions asked! Once you get these products, you will have all of the equipment that you need to perform every exercise on this page. Below are instructions and illustrations of how to perform the exercises that will increase muscular strength and endurance in your chest, back, shoulders, core, upper legs, buttocks, inner legs, outer legs and lower legs. 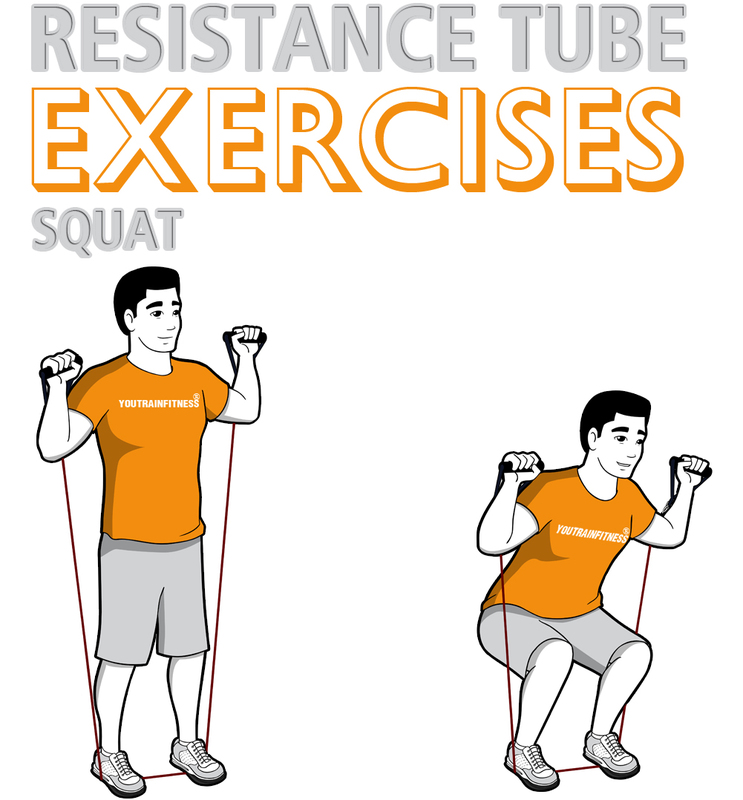 Be sure to bookmark this page as we will continue to add more resistance tube and resistance band (mini loop band) exercises. 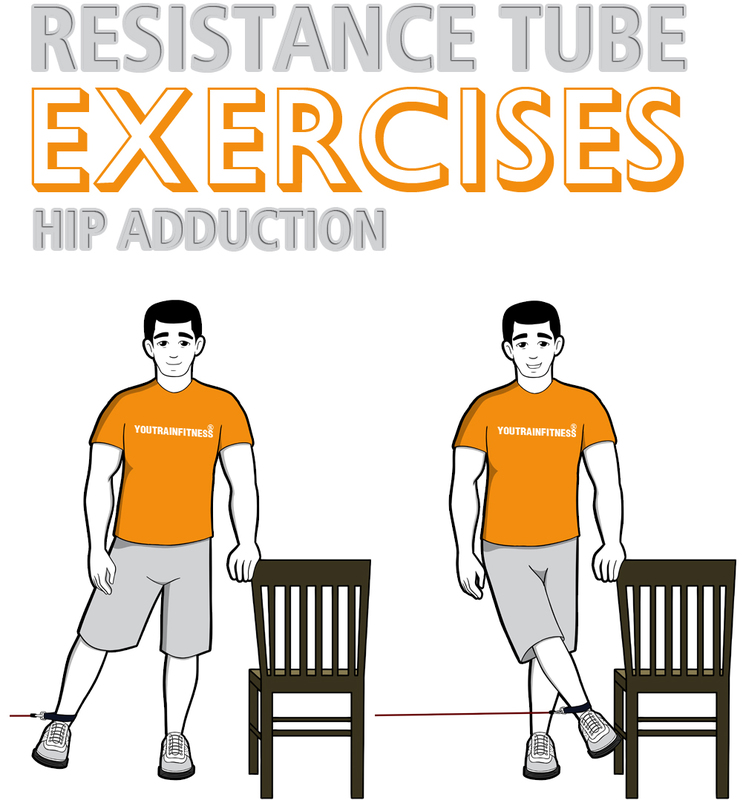 Grab a resistance tube and place both feet evenly spaced shoulder width apart. Position your hands to your side. Engage core, bend knees slightly, bend at elbow and lift handles to shoulder level with palms faced forward. Press both arms overhead, exhale during the lifting phase, then inhale and lower arms back to the start position. That’s one rep. Repeat the movement again or 8-12 or 12-15. Grab handles palms faced up to your sides. 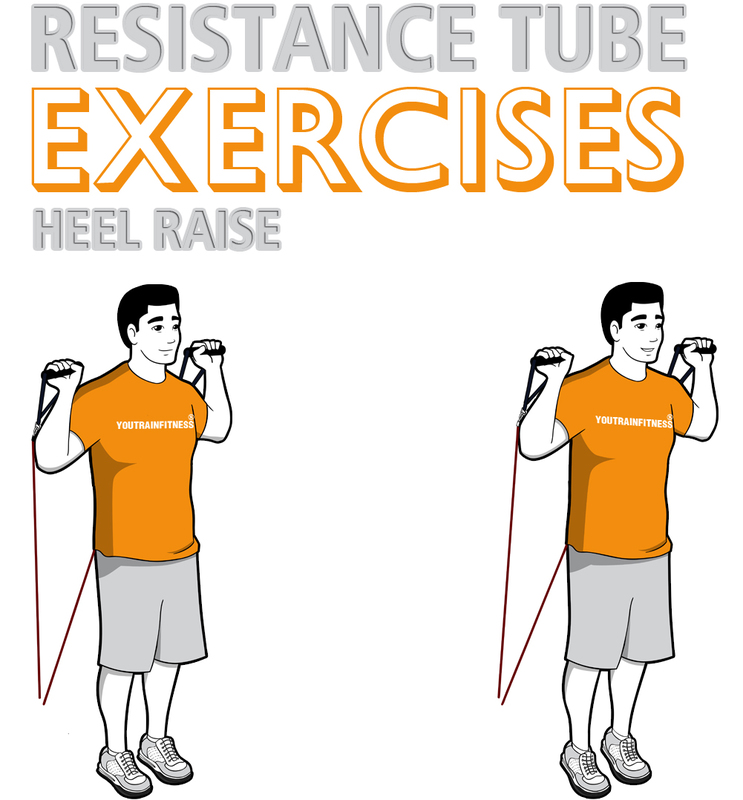 Stand on the center of the resistance tube with both feet evenly spaced shoulder width apart. Engage core and pull handles up while bending elbows and keeping elbows close to sides until handles reach shoulder level. Return handles to start position and repeat for a total of 8-12 or 12-15 repetitions. Variation: Press the handles straight out in front of you and hold that position for up to 30 seconds. Repeat for the other side. You may also stand and perform this exercise. 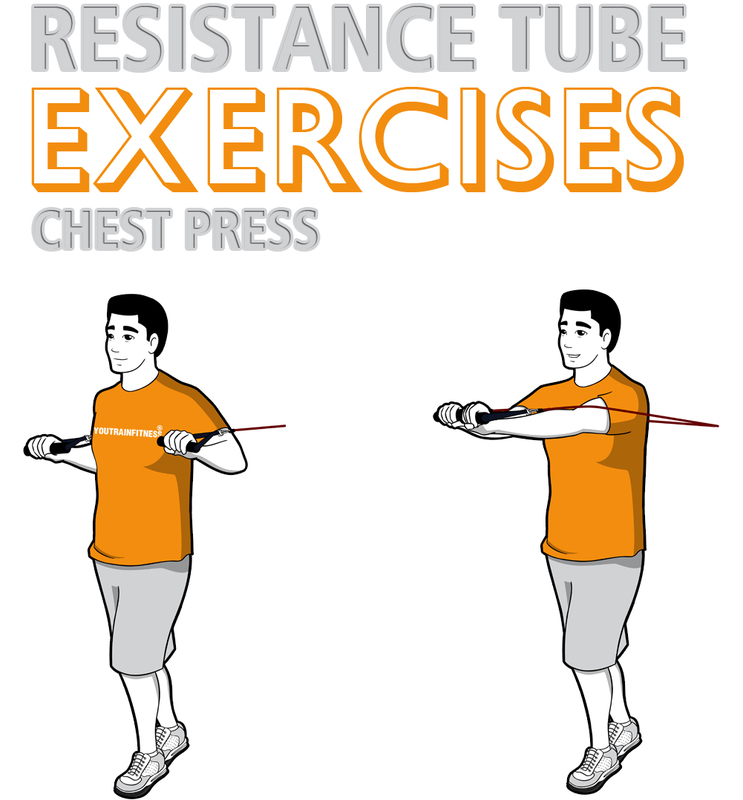 Grab handles of the resistance tube and stand on its center with both feet evenly spaced shoulder width apart. 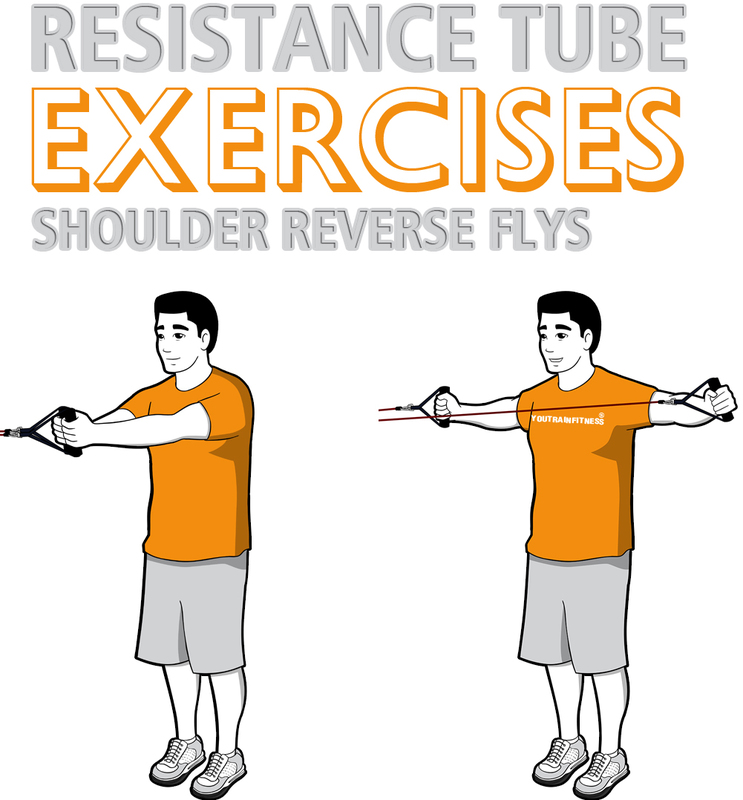 Bring handles of the resistance tube up to shoulder with palms faced forward; elbows in front of the resistance tube. Engage core and bend at hips and knees with both legs to a comfortable crouching position. Stand up then repeat for a total of 8-12 or 12-15 repetitions. 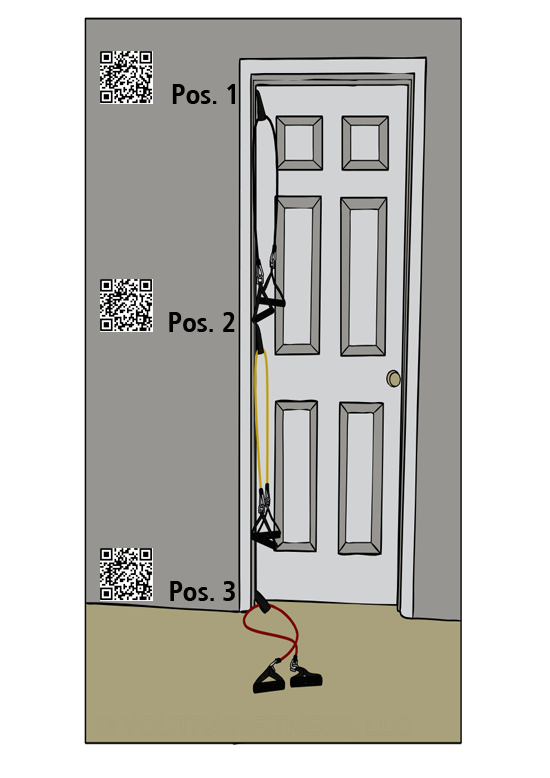 Position door anchor at the bottom of the hinge side of door [FIG. 1] and attach one ankle strap to metal clip of the resistance tube. 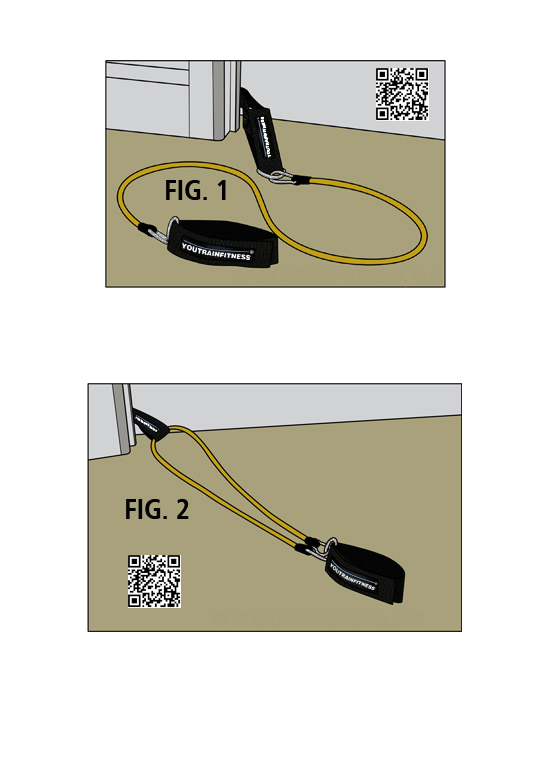 Fasten the other ankle strap securely to the loop of the door anchor (as shown in FIG. 1). Attach ankle strap to the ankle farthest from the door. 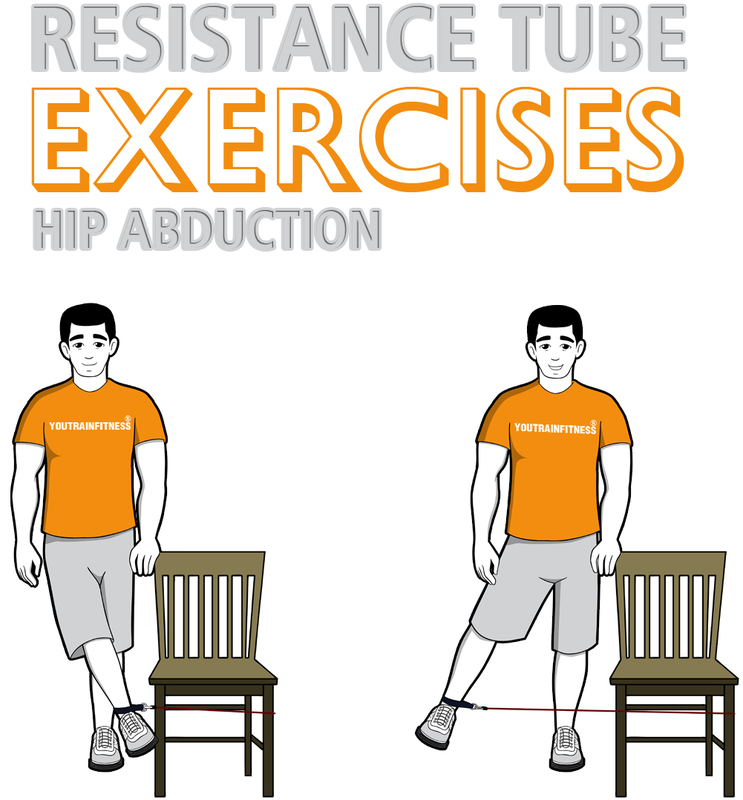 Hold on to a sturdy chair for support, engage core and move ankle away from the body. Repeat for a total of 8-12 or 12-15 repetitions then switch sides. 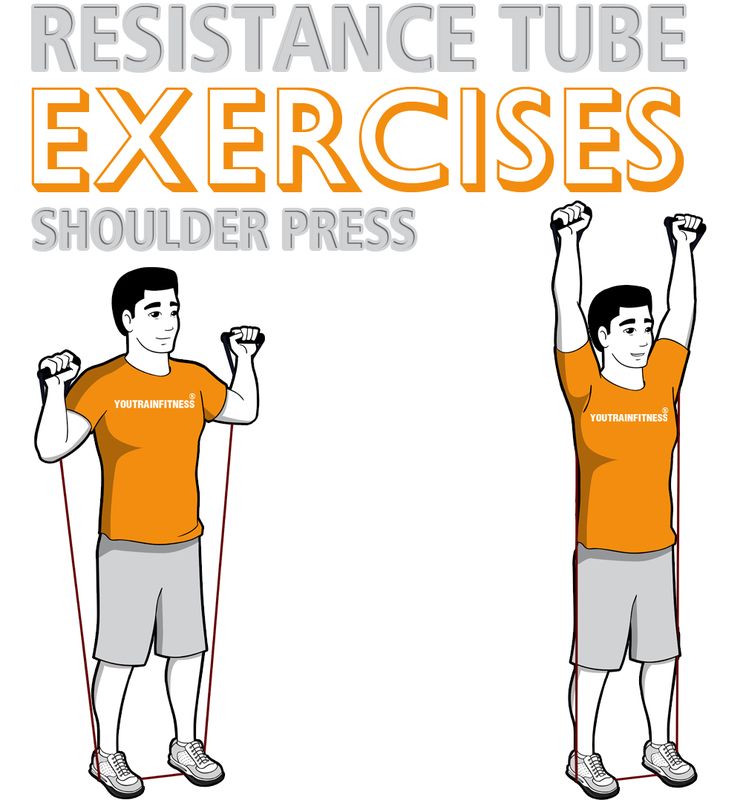 These resistance tube training exercises may be performed in a vertical loading manner for best results. Vertical loading simply means that you will perform the first exercise and then immediately perform the next exercise without rest until you complete all of the exercises. Once finished, you can rest for 2-3 minutes and start over from the first exercise. You may also choose to perform these exercises using a horizontal loading format. Horizontal loading is simply to perform 2-3 sets of the same exercise and rest for 1 minute between each set. Once the 2 or 3 sets are completed, you may perform 2-3 sets of the next exercise with 1 minute rest between each exercise. To maximize calories expended, consider performing a cardio exercise (for example jumping jacks between each exercise or between every other exercise). Hydration: Pick up a case of Purewill. 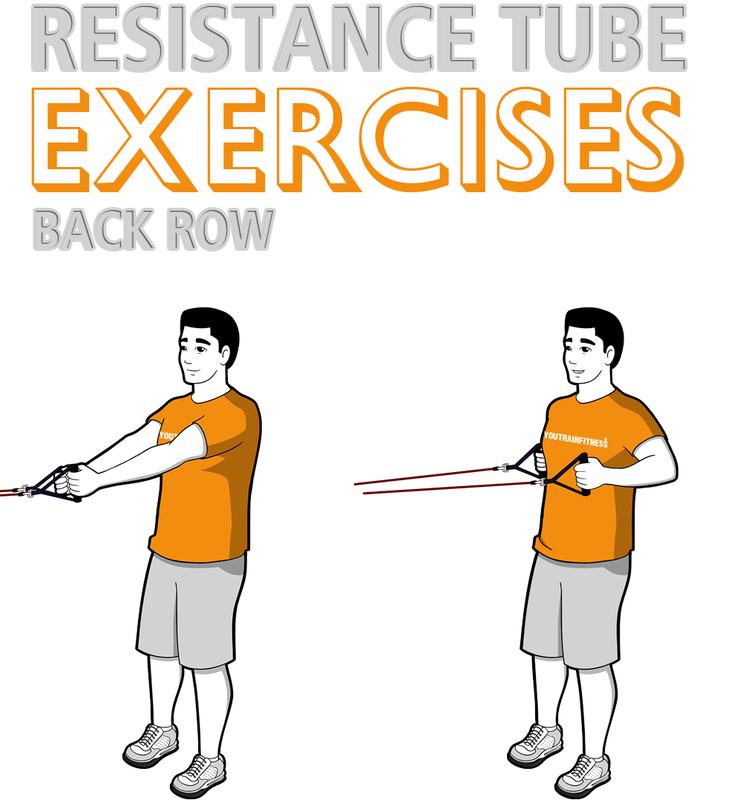 This entry was posted in How to Guide and tagged Resistance Band Training, Resistance Bands Exercises, Resistance Bands Workout, Resistance Tube.